Amazingly elegant feminine design which will bring joy to anyone with a penchant for charms. 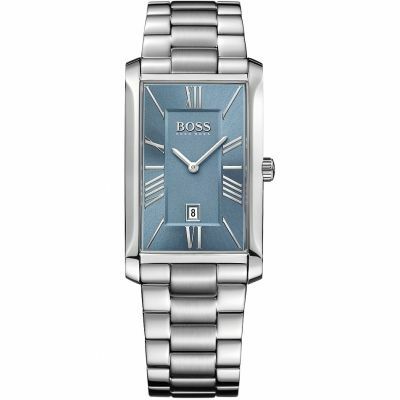 Fantastic , elegant watch at a great price .. going to make a memorable present !! Safe and secure purchasing process that made me feel confident throughout. The image was a good representation of the watch that is a fantastic and typical VW mix of class and alternative design. Great 18th birthday present that did not disappoint. As this purchased was a gift I opted for the gift-wrap service and included a nice message for my wife on there. I was slightly disappointed by the service since the gift message card actually comes with the product code on it and the Watch Shop logo ruining any element of surprise! I did contact Watch Shop RE: this and they gave me a voucher but would rather they just rectified this for future customers! Would definitely shop again and as I mentioned - you cant fault the service provided! I love this watch! The detail to watch face and watch strap are amazing. Love the pattern on the leather strap - however, the strap could do with being longer. Nevertheless I love it so much I have just ordered it again in black. This is not the first time I have ordered from Watch Shop and it wont be the last - great service as always. I ordered my watch at the busiest time of year, in between Christmas and new year. I received my watch the day before New Years Eve so I could have in time to show my family where there very generous Christmas money had gone too, they we all extremely happy to see I has put my money to good use ☺️ My watch is a beautiful Vivienne Westwood design which I am truly over the moon with. Very happy with my purchase. 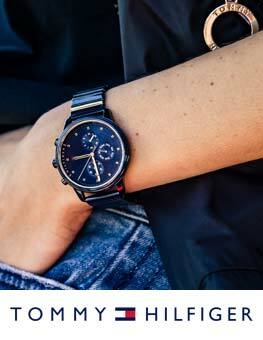 The watch is really attractive looking and great quality. Bought as a gift for my girlfriend who loves it. I was pleasantly surprised when I seen the watch for the first time . 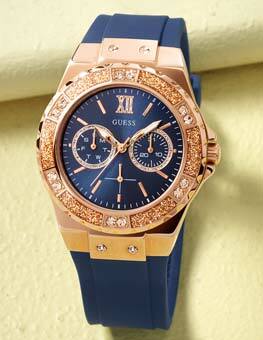 The colour and style are really nice my daughter will love this watch very suitable for her . 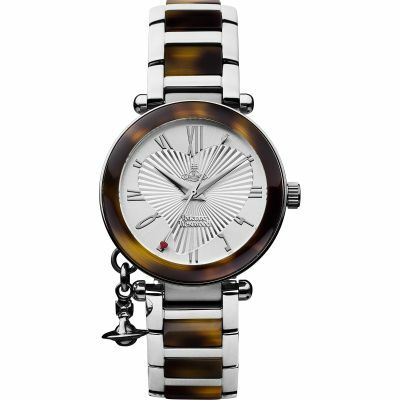 This is a fabulous watch with lovely detailing and cant wait to wear it. Couldnt choose between the pink leather strap or white but opted for the pink which is more of a salmon pink which matches the dial. Absolutely love it . Bought this as a Christmas present for my daughter. I bought the gift as a birthday present for my daughter. She loved the colour and design of the watch as it is very girlie. 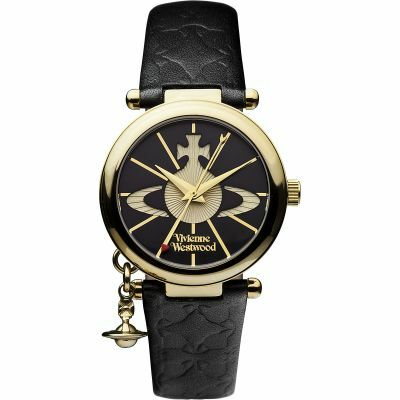 The trademark orb of Vivienne Westwood also sets the item off perfectly. 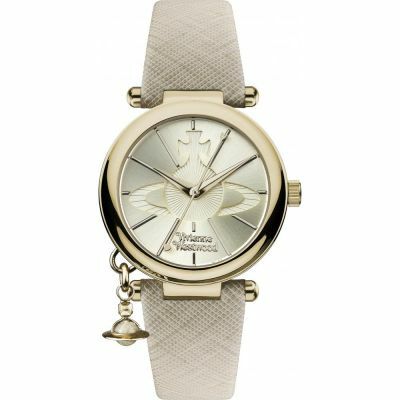 It is a simple and elegant design with the Vivienne Westwood twist. I bought this as a 50th birthday present for my daughter.She is over the moon with it,she thinks it is gorgeous.A very happy daughter and mother and father.Obviously it being pink it is for a female,very girlie, it looks lovely.I am pleased I bought it. Good watch, works well. Nice colour and design but feels to light in my opinion. 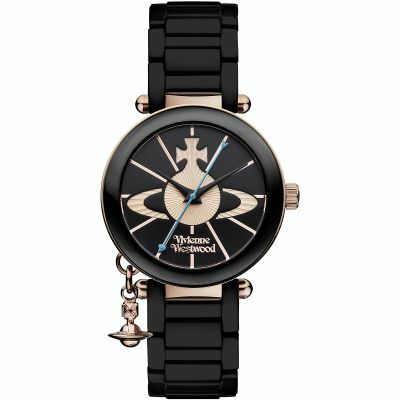 I bought this watch for my wife as she loves Vivienne Westwood. She was very impressed as the quality is unmistakable with a classic design. 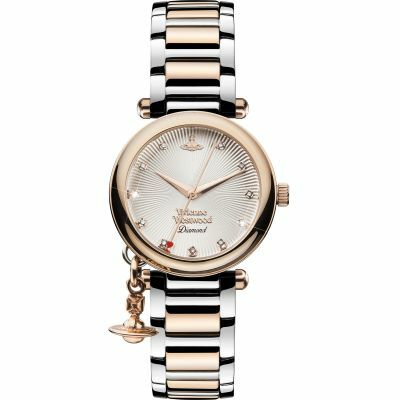 It makes her feel very special to wear a little bit of Vivienne on her wrist. 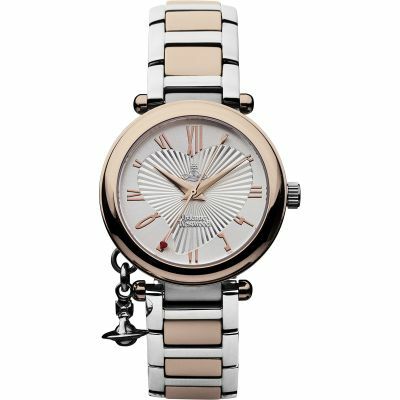 I bought this watch for my daughter Amber Rose for her 18th Birthday and she absolutely loves it. She wanted something different from the watches her friends have and this watch definately stands out from the rest. The flesh colour and design make it both very wearable and unique. I would recommend this watch to anyone who wants something a little different but special. Very nice indeed. Perfect as a gift for family members or friends. i would recommend this website to my friends. 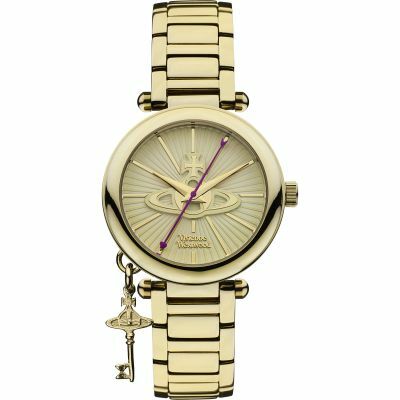 I bought this watch for my wife after buying a Rotary that was impossible to fasten. She loves it and it looks very pretty and elegant on her wrist . 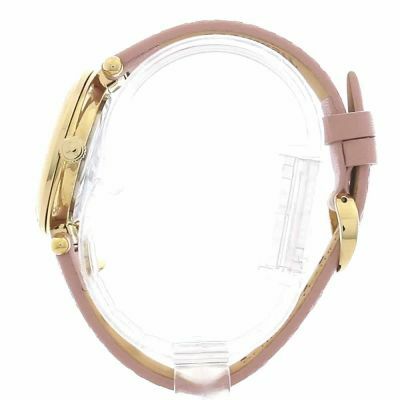 the pink and gold tones are discreet but the watch looks stylish without being over the top or blinged out. This was a Christmas gift for my daughter and she absolutely loved the watch. 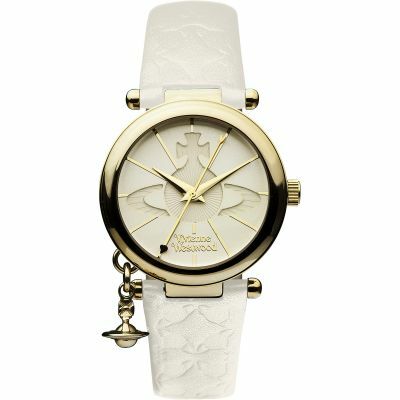 This is the second Vivienne Westwood watch I have bought from this site abd both deliveries were incredibly fast. Lovely watch very well made and lovely to wear one of those watches you never want to take off. Comes in a lovely stylish box. 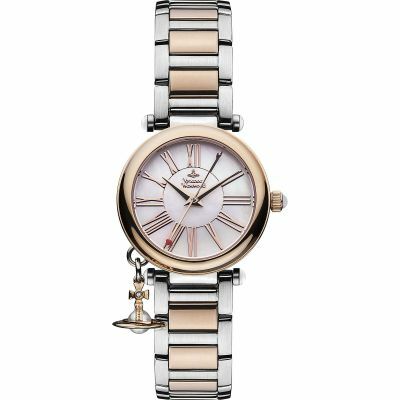 Excellent service, lovely watch, cant wait to see her face when she opens this at Christmas! This is a stunning time piece, good quality. I love the little heart on the second hans and the small globe on the side of the body. The strap is abit lighter than the picture shows but it still looks really nice. Very happy, perfect as a gife or just a little treat for your self. I have had this product for about a year, and have worn it mostly every day. The leather strap is worn and the colour is fading in some parts - and regardless of the constant use i am quite disappointed. 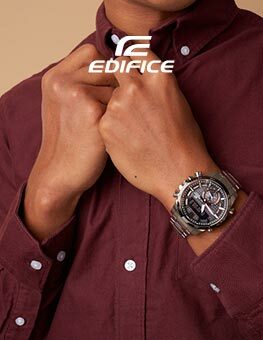 The style and face of the watch is wonderful, and the detail lovely. I have no scratches on the glass, it must be very resistant. Lovely watch in a perfect pastel shade of pink. My wife loves it and wears it Daily. Heartily recommend getting cashback through Quidco as well. I am extremely happy with my new watch, the vivienne Westwood stores were out of stock but the watch shop had it! I love everything about my watch, exactly what I wanted and nobody else had it! 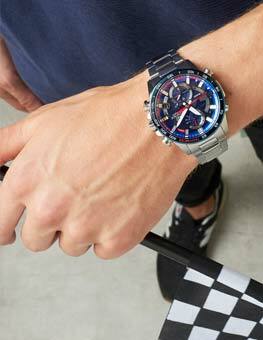 Really fast and cheap delivery, the service was fantastic and they let me know when my item would arrive which was very helpful, I would always recommend the watch shop now! what was very disappointing was the gift wrap packaging, we removed your packaging and rewrapped the watch, also the gift tag was appalling.